The photograph right shows the end of the Red Lion and Lion Lane with, to the left side an open site with cars parked. 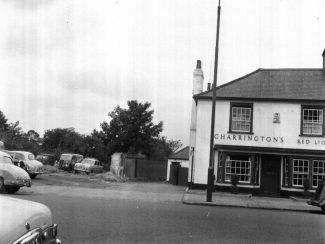 At this time the site was waiting prior to the building of Hensman’s garage, the local Ford dealer. 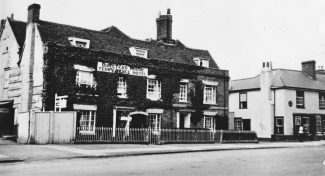 The Temperance Hotel had been knocked down some years earlier. 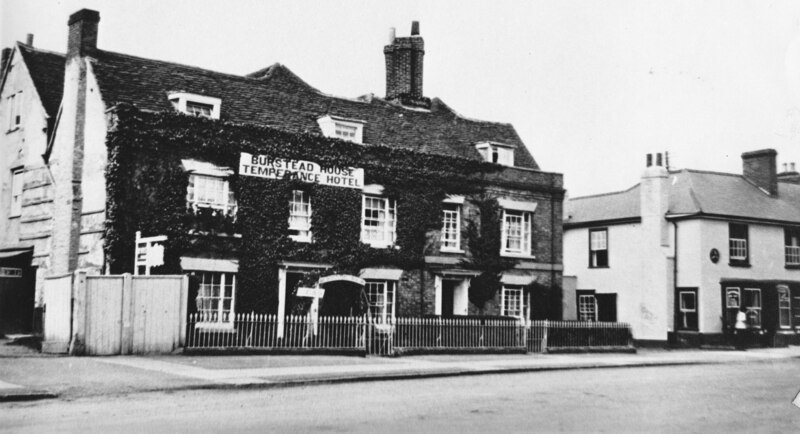 Below is a photo of the Temperance Hotel in its heyday. Does anyone have information about Hensmans Garages in Billericay or Brentwood?